The Dear Irish Boy - Brass Quartet by Traditional. Arranged by Alain Lopez. Quartet. For brass quartet (1 Bb trumpet 1 f horn 1 trombone 1 Tuba). Classical, Traditional. Grade 3. Score and Set of Parts. 4 pages (score); 4 pages (parts). Published by FLEX Editions (FL.FX072822). The Dear Irish Boy - Flute Quartet by Traditional. Arranged by Alain Lopez. Quartet. 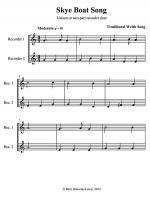 For flute quartet (4 flutes). Classical, Traditional. Grade 3. Score and Set of Parts. 4 pages (score); 4 pages (parts). Published by FLEX Editions (FL.FX072823). The Dear Irish Boy - Clarinet Quartet by Traditional. Arranged by Alain Lopez. Quartet. For clarinet quartet (3 Bb clarinets 1 bass clarinet). Classical, Traditional. Grade 3. Score and Set of Parts. 4 pages (score); 4 pages (parts). Published by FLEX Editions (FL.FX072821). The Dear Irish Boy - Saxophone Quartet by Traditional. Arranged by Alain Lopez. Quartet. For saxophone quartet (1 Soprano saxophone, 1 alto saxophone, 1 Tenor saxophone, 1 Baritone saxophone). Classical, Traditional. Grade 3. Score and Set of Parts. 4 pages (score); 4 pages (parts). Published by FLEX Editions (FL.FX072668). To You I Pray. 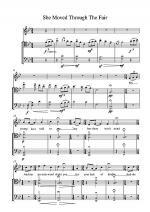 (Liturgical Music form Ireland). By Solas. Sacred. Cassette. Published by GIA Publications (GI.G-CS-318). SolaS, a group of 29 talented musicians from Northern Ireland (both Catholic and Protestant), deeply touched many of us with both story and song. This is their first collection. Catholic Irish Classics. (Catholic Irish Classics). Sacred. CD. Published by GIA Publications (GI.G-CD-915). Catholic Irish Classics celebrates the sacred music of an ancient heritage and culture. The songs on this CD, both old and new, reflect the rich spirituality of Ireland. Beloved tunes such as slane and st. columba have been sung for centuries paired with relatively newer texts like "Be Thou My Vision" and "O Breathe on Me, O Breath of God." Meanwhile, songs like "The Clouds'Veil" or "May the Road Rise to Meet You" are contemporary musical settings of prayers and texts that have issued from the lips of the faithful for generations. This recording features the talented voices of Liam Lawton, Theresa Donohoo, Ian Callanan, and many more. Have a listen and let Catholic Irish Classics feed your soul, spark your imagination, and whisk you away on a journey of faith to the Emerald Isle. To You I Pray. 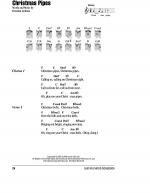 (Liturgical Music form Ireland). By Solas. Sacred. CD. Published by GIA Publications (GI.G-CD-318). SolaS, a group of 29 talented musicians from Northern Ireland (both Catholic and Protestant), deeply touched many of us with both story and song. This is their first collection. 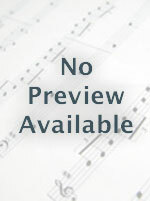 150 Gems of Irish Music for Flute (Book/2-CD Set) by Grey Larsen. For flute. Squareback Saddle Stitch. Advanced. Book/2-CD Set. 132 pages. Published by Mel Bay Publications, Inc (MB.98216BCD). ISBN 0-7866-8512-3. 8.75 x 11.75 inches. Grey Larsen, in the 150 Gems collections, has given us a most welcome follow-up to his encyclopedic volume, The Essential Guide to Irish Flute and Tin Whistle (Mel Bay Publications, 2003) and The Essential Tin Whistle Toolbox (Mel Bay Publications, 2004). The Gems feature not only meticulously-selected tunes, but represent the first major offerings that use Larsen's innovative system of notating Irish ornamentation. These books and CDs will help players gain a deeper understanding of the Irish musical tradition as well as provide new material to enhance the experience of the solo player and Irish session participant alike. 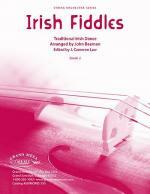 Irish Fiddle Tunes for Two Soprano Recorders arranged by Deborah Greenblatt. For Soprano Recorder Duet. Spiral-bound. Tunebook. 32 pages. Published by Greenblatt & Seay (GS.BSR2IFTFTSR). This collection features 32 reels, hornpipes, polkas, jigs, and waltzes, arranged for two soprano recorders, with chord symbols for guitar accompaniment. This book has the same tunes in the same keys as the "Irish Fiddle Tunes for Two" which includes books for violins, violas, cellos, basses, and mandolins. For instance a soprano recorder player and a violist could play these tunes together if each had the appropriate book. Irish Jig and Aire - Score by Ben Snoek. For string orchestra. Folk. Grade 2. Conductor score. Duration 2:44. Published by Wingert-Jones Publications (WJ.3035032). Drawing from rich Irish musical traditions, this setting combines well-known folk songs The Irish Washerwoman and Sheebeg, Sheemore. Here is a chance for your developing group to enjoy two of the best qualities of Irish music: a rousing fiddle tune and a heartfelt melody. For cross-curricular studies, it is equally rewarding to investigate the stories behind these melodies, one involving a battle of fairies across two mountaintops in the green highlands. Accessible and extremely satisfying. Irish Jig and Aire by Ben Snoek. For string orchestra. Folk. Grade 2. Score and set of parts. Duration 2:44. Published by Wingert-Jones Publications (WJ.3035031). Drawing from rich Irish musical traditions, this setting combines well-known folk songs The Irish Washerwoman and Sheebeg, Sheemore. Here is a chance for your developing group to enjoy two of the best qualities of Irish music: a rousing fiddle tune and a heartfelt melody. For cross-curricular studies, it is equally rewarding to investigate the stories behind these melodies, one involving a battle of fairies across two mountaintops in the green highlands. Accessible and extremely satisfying. An Irish Legend - Score by Joseph Eidson. For concert band. Achievement Series. Concert Work. Grade 2. Conductor score. Duration 2:19. Published by Wingert-Jones Publications (WJ.3016221). An Irish Legend uses the traditional Irish folk song The Minstrel Boy as the melodic material in this piece. The inspirational and emotional lyrics portray the loss of several friends in the 1798 rebellion of the United Irishmen. One of the lasting messages of this song is freedom from slavery and tyranny - a powerful message that has touched many people fighting for their country. The sense of longing, loss, and triumph found in the lyrics is reflected in the somber and lyrical style of this setting for concert band. An Irish Legend by Joseph Eidson. For concert band. Achievement Series. Concert Work. Grade 2. Score and set of parts. Duration 2:19. Published by Wingert-Jones Publications (WJ.3016220). An Irish Legend uses the traditional Irish folk song The Minstrel Boy as the melodic material in this piece. The inspirational and emotional lyrics portray the loss of several friends in the 1798 rebellion of the United Irishmen. One of the lasting messages of this song is freedom from slavery and tyranny - a powerful message that has touched many people fighting for their country. The sense of longing, loss, and triumph found in the lyrics is reflected in the somber and lyrical style of this setting for concert band. irish Fiddles by Traditional. Edited by J. Cameron Law. Arranged by John Beeman. For string orchestra. Grade 2. Score and set of parts. Duration 2 minutes, 38 seconds. Published by Grand Mesa Music (GC.GMMOR85-SET). The traditional Irish melody "Denis Murphy" is used as the basis for this rollicking "Irish Fiddle" tune that features melodies for all instruments. Other techniques explored in this very playable arrangement include slides and guitar style pizzicato. Careful; this great introduction to Irish Fiddling may be habit-forming! The Irish Flute Book (20 Famous Tunes from Ireland With a CD of Accompaniments and Performances). Edited by Patrick Steinbach. For Flute, Recorder, Tinwhistle. Woodwind. Softcover with CD. 28 pages. Schott Music #ED21646. Published by Schott Music (HL.49019715). Beautiful Irish dances, jigs, reels, hornpipes, Carolan tunes, and folksongs arranged for flute, recorder, or tin whistle. With notes on the music. Matches The Irish Piano Book (available as 49019341). Morning Has Broken by Old Gaelic Melody. Arranged by Mike Lewis. For string orchestra. Grade 3. Score only. Duration 4 minutes, 9 seconds. Published by Masters Music Publications Inc. (MT.M806701). Morning Has Broken by Old Gaelic Melody. Arranged by Mike Lewis. For string orchestra. Grade 3. Score and set of parts. Duration 4 minutes, 9 seconds. Published by Masters Music Publications Inc. (MT.M806702). Irish Clarinette by Jean-Michel Maury. Musique de Chambre, Duo, Solo & Accompagnement Piano. For 1 Bb Clarinet 1 Piano. Classical, Educational. Grade 3. Score and Set of Parts. 5 (score); 1 (parts). Published by FLEX Editions (FL.FX072504). 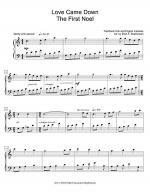 A good exercise for the rhythmic consistency and endurance during the first cycle - Jean Michel MAURY ; Instruments: 1 Bb Clarinet 1 Piano; Difficuly Level: Grade 3; Duration: 1 mn 45 s; Musical Style: Classical, Educational; Category: Original Composition; Composer: Jean Michel MAURY;. 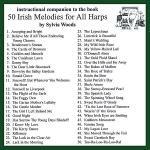 50 Irish Melodies for All Harps (Companion CD to the Songbook). Arranged by Sylvia Woods. For Harp. Harp. CD only. Published by Hal Leonard (HL.121119). This companion CD will assist harp players in learning the pieces in the 50 Irish Melodies for All Harps book. Since many will want to “play along” as they learn, Sylvia has recorded most of the pieces slower than they are usually played and as “straight” as possible with little or no expression or rhythmic variations. Each piece has two arrangements: (A) an easy version, and (B) one that is more difficult. On these recordings Sylvia plays version A directly followed by version B. Since the two versions can be played as a duet, you can play either version along with the recording. The companion CD includes all the pieces from the book and in the same order. Irish Dance Tunes for All Harps (Companion CD to the Songbook). Arranged by Sylvia Woods. For Harp. Harp. CD only. Published by Hal Leonard (HL.121118). 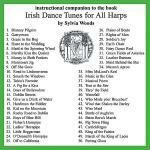 This companion CD will assist harp players in learning the pieces in the Irish Dance Tunes for All Harps book. Since many will want to “play along” as they learn, Sylvia has recorded most of the pieces slower than they are usually played and as “straight” as possible with little or no expression or rhythmic variations. The companion CD includes all the pieces from the book and in the same order.